Calculated Risk: Rising Mortgage Rates: The End of the Refi mini-Boom? Rising Mortgage Rates: The End of the Refi mini-Boom? The Ten Year treasury yield hit 4.0% this morning for the first time since Oct 2008. 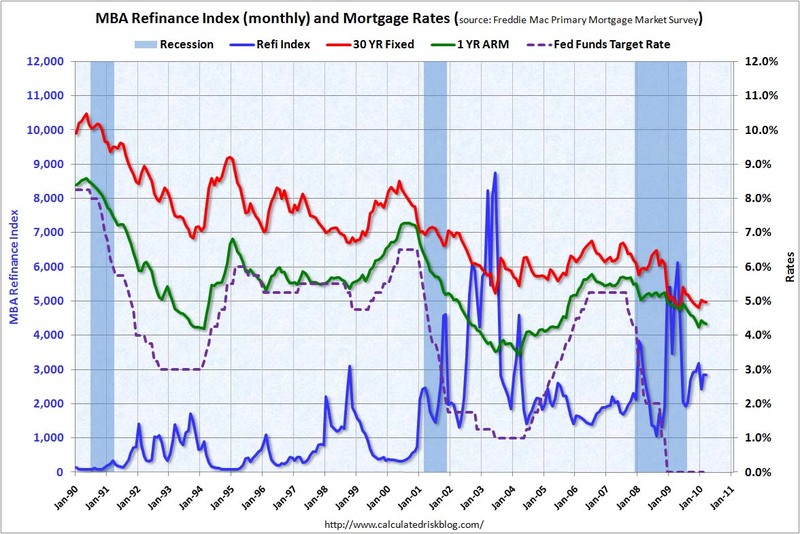 Mortgage rates are moving up too and that probably means that refinance activity will decline sharply. Refinance activity picks up when mortgage rates fall (for obvious reasons), and this graph shows the monthly refinance activity (MBA refinance index) and the 30 year fixed mortgage rate and one year adjustable mortgage rate (both from the Freddie Mac Primary Mortgage Market Survey) - and the Fed Funds target rate since Jan 1990. Notice that following the '90/'91 and '01 recessions, the Fed kept lowering the Fed Funds rate because of high unemployment rates. 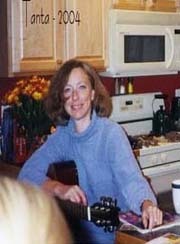 This spurred refinance activity. The Fed can't lower the Fed Funds rate now - and could only spur refinance activity if they restarted the MBS purchase program. 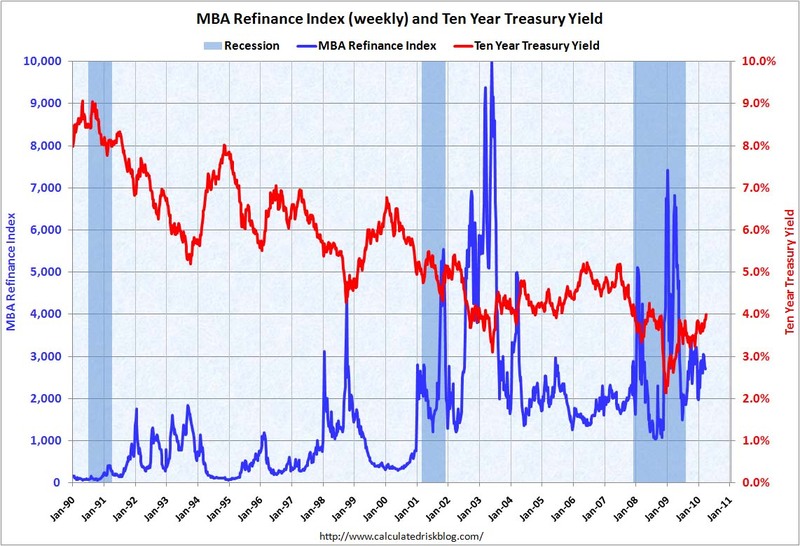 The second graph shows the weekly MBA refinance activity, and the Ten Year Treasury yield. When the ten year yield drops sharply, usually refinance activity picks up. 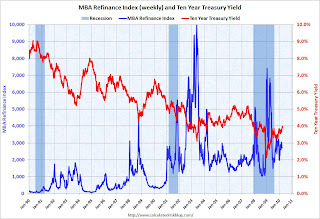 And when the yield increases, refinance activity declines. With the yield on the Ten Year Treasury increasing to 4%, and the end of the Fed MBS purchase program last week, mortgage rates will probably rise and refinance activity will fall sharply.